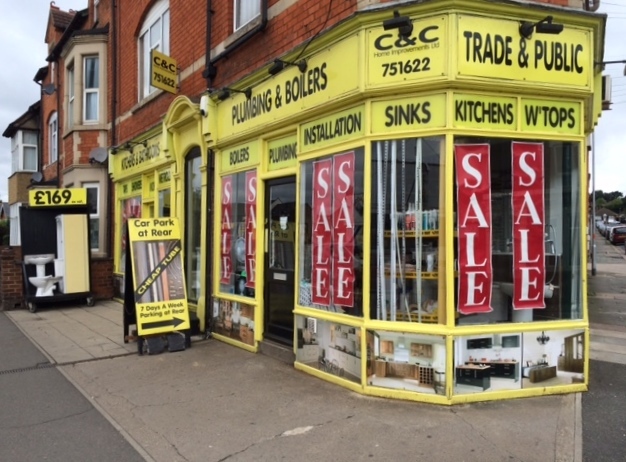 We are a family run business who are very grateful to all our regular customers and new customers alike, we have been supplying bathrooms and plumbing equipment as well as kitchens, worktops, kitchen sinks, tiles, tile adhesive and trims etc for a very long time to trade customers and home owners. We work closely with home owners and trade customers purchasing their bathrooms or plumbing products, its normal for us to give technical knowledge to help them through their projects. Our shop may not appear to be too large from the outside but it’s deceivingly large inside, we have so much more on display than you would think with many items available from stock. Independent shops with the expertise we have are rare, please support small businesses by purchasing from us. You read so often some of the larger shops with huge marketing budgets are not all making it. We are a lovely corner shop in the heart of St James, Northampton fantastic knowledge and products without the big overheads.